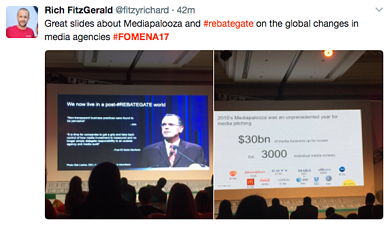 In the past two years, major brands, including P&G, Unilever, Coca-Cola, GSK, Johnson & Johnson, Sony, Volkswagen and McDonald’s, have gone into review with more than $30 billion in media billings, giving rise to the term ‘Mediapalooza’. To understand better, CommunicateOnline spoke to David Indo, co-founder of ID Comms, who has advised brands on more than $10 billion worth of media reviews. What is the biggest change you’re seeing in terms of what clients are looking for from their media partners? Most advertisers we deal with are very clear as to what blueprints they require from a media agency holding group. They’re beginning to understand better the role that media and agencies can play in driving business growth and that allows for great clarity on what structure and operating model they are looking for in a media agency partner. Data and technology sit at the very core of everything most smart advertisers look for. They’re looking to challenge their agency partners on how they will use data to make informed strategic decisions.Transparency should now be a condition of entry, so the contracts being developed are far more robust. They [advertisers] are also looking for innovation – smart, game-changing, category-changing innovation that will spark media to life. Do you think media agencies today are able to understand and cater to these requirements? The good ones are. Most agency groups welcome the opportunity of being partners to their clients. And the only way you can establish true partnership is if the relationship is built on transparency, shared values and respect for leadership [among other things]. Agencies are far more responsive to a strategic brief than a cost-driven brief. [In the latter case,] they see media being viewed as a commodity and the agency as a supplier. 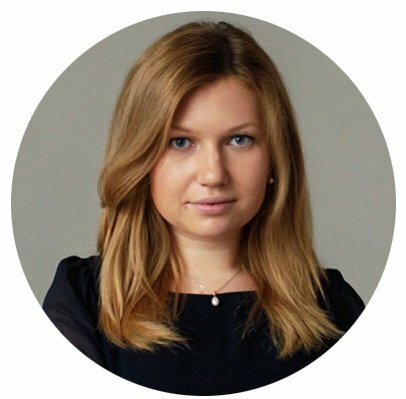 Whereas, [with] a strategically driven brief, they see a client who looks at media as an investment for growth and is aiming to establish a partnership. Two extremely different perspectives, but each generates a completely different reaction and set of behaviors from the media agency community. That’s the nature of the beast. The challenge is for the agency – and for clients, to a degree, but for the agency in particular – to reframe the argument away from price and an immediate cost reduction or savings, into a value equation. Agencies and agency holding groups are getting significantly better at doing it. Media pricing is always going to be an important part of any agency selection, but equally important should be the strategic ability of that agency to provide a competitive advantage to the business by coming up with some really good media thinking. Do you think the cost-driven attitude is more prevalent in MENA region than in other markets? I would imagine that price is distinctly more powerful across the MENA region and APAC. But ultimately, the problem is that we’re making media a commodity; continual price reduction ultimately doesn’t benefit anybody. What we tell our advertisers is: ‘Absolutely, you need to be sure that you’re being delivered a competitive pricing decision based on the right kind of quality parameters, but make sure you focus just as much on your agency’s strategic ability to deliver against your business goal.’ The pricing should just be one element of it. If [the process] is overly shifted toward pricing, it will just erode the quality of the media delivery. Have you ever had agencies walk away from the pitching process due to pricing? No. [But] we’re a strategic consultancy, [so] we’re a little bit self-selecting. You must have heard of e-auctions and the method of submitting prices through an e-platform – the most infamous was VW last year, which conducted a very aggressive e-sourcing/e-auction on its pricing. I would encourage agencies to consider very hard whether they want to participate in a process that commoditizes media pricing to such an extent that the behaviors agencies have to exhibit to go through an e-auctioning process often don’t equate to good media management practices. They’re being asked to commit on pricing that they have no visibility on. We call it the watermark. There is a line at which every agency knows it can deliver pricing at a reasonable quality. An e-auction just takes them way beyond that watermark. Lastly, what’s your take on media agencies being paid a fee by clients for pitching? What you’ve got to remember is that, in these big, global reviews, the cost of going through a pitch process [for the agency], if it takes eight months and is global, can be millions of dollars. So, clients paying for the agencies who participate is just not going to happen in media. Some very generous clients may offer a small gesture of thanks for those [agencies] that haven’t been successful, but I sympathize far more from the creative side. It’s just not something that’s going to catch on on the media side.